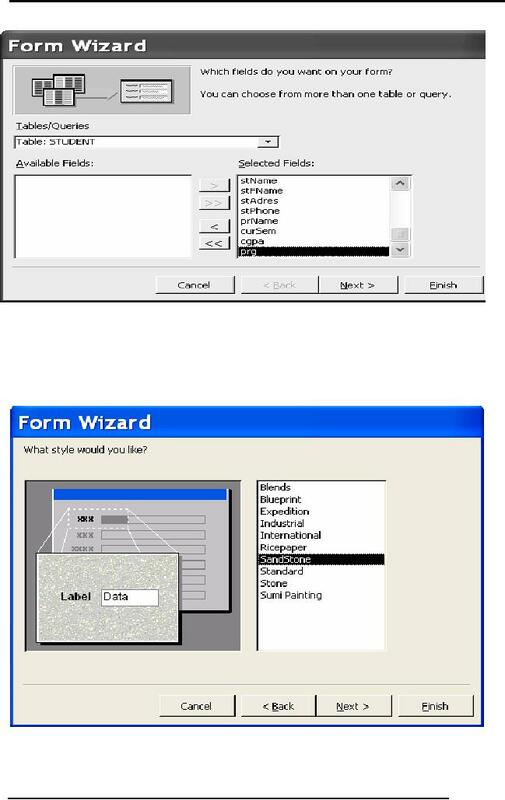 create your own customized forms by using Microsoft Access form design tools. true picture of real system. 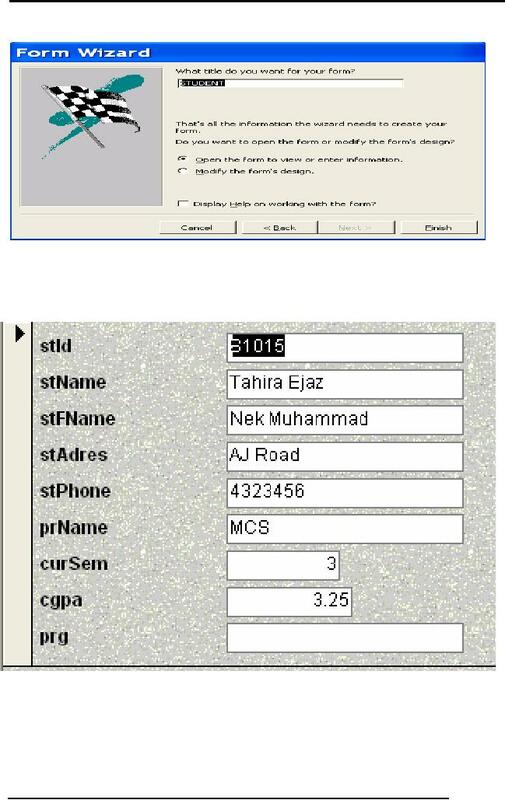 the name of database as follows. 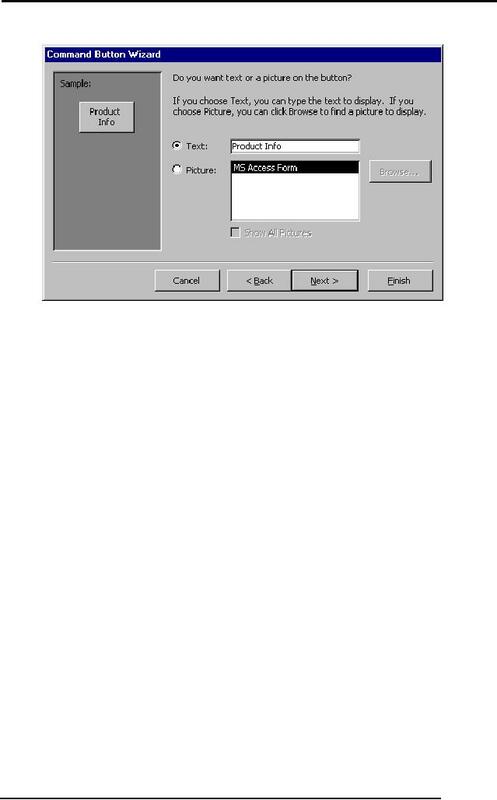 following screen would be available. 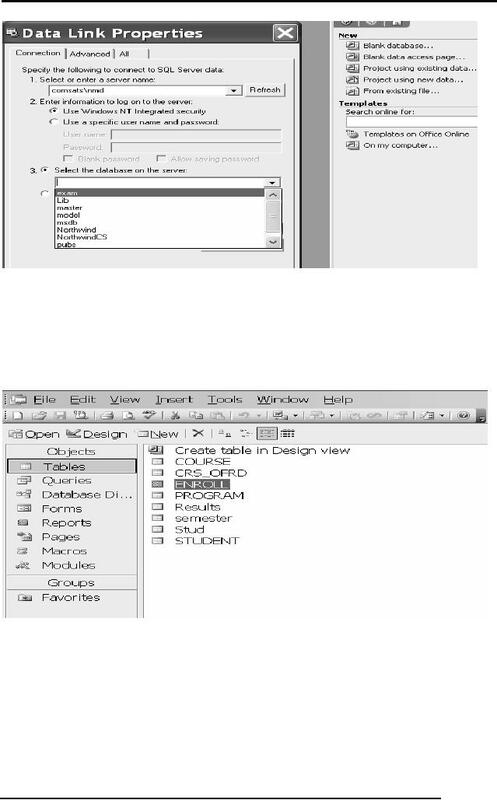 option then is the selection of database on which forms are to be constructed. forms as under. We have selected the SandStone option. 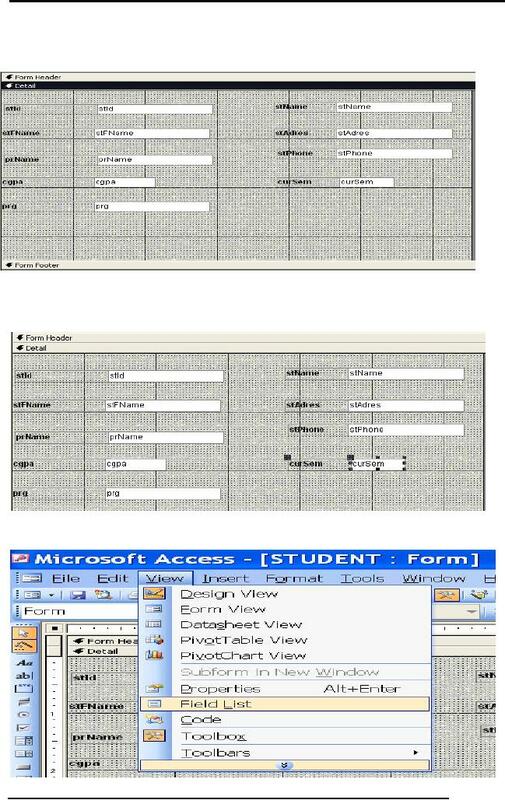 Next is the selection of title for the form as under. 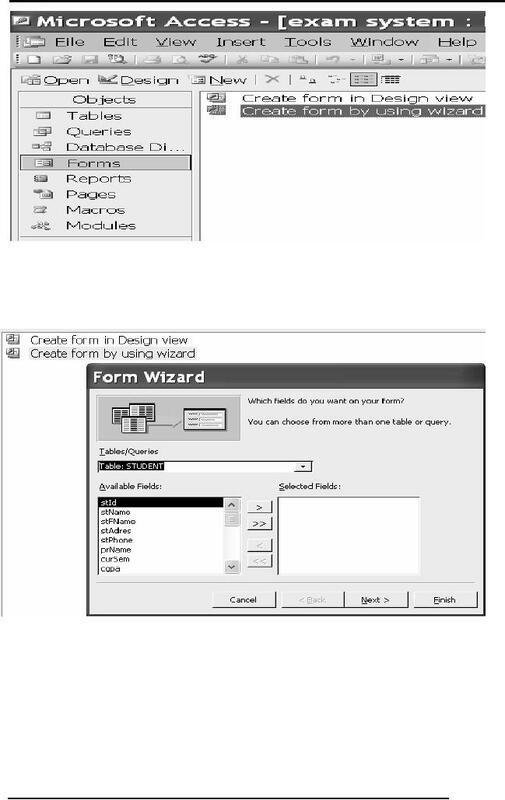 Next is the form view as under in which we can view our data. 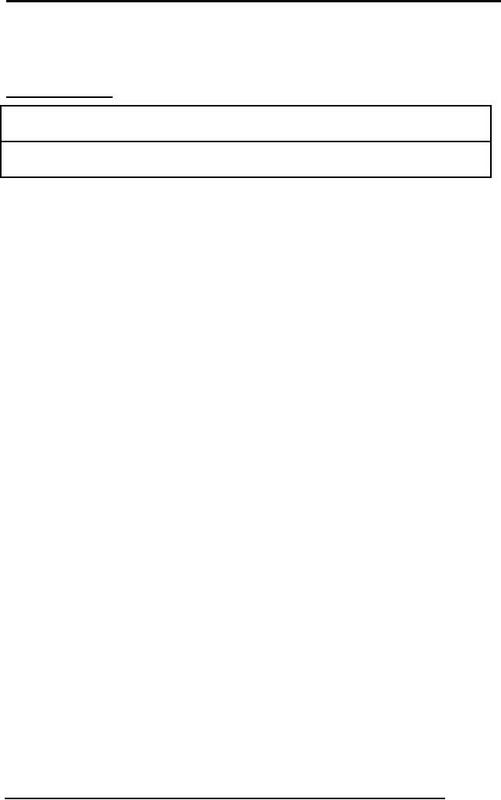 Next is deleting a field from the form. If we want to add an attribute in the list. 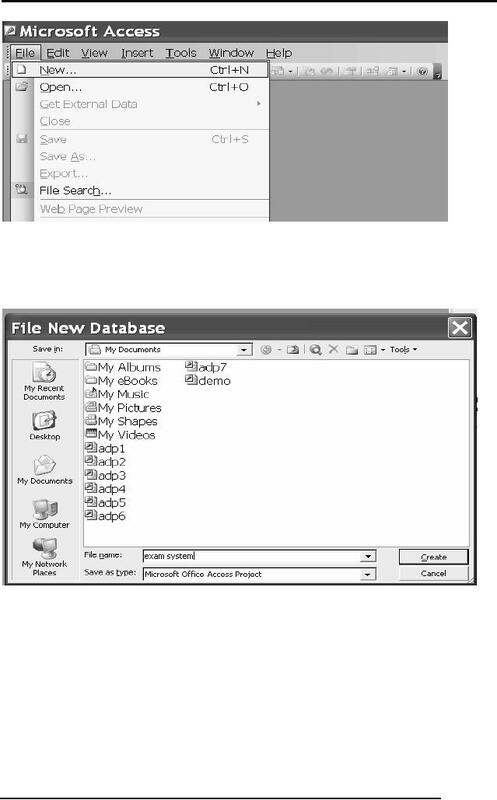 In this example, a command button beside each record is used to open another form. the toolbox is pressed in. form. The Command Button Wizard will then appear. The next few pages of options will vary based on the action you selected. 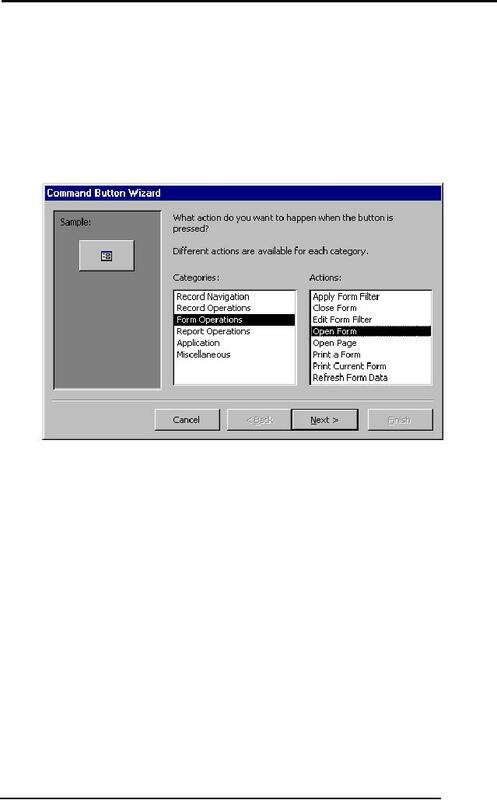 Continue selecting options for the command button. Enter a name for the command button and click Finish to create the button.